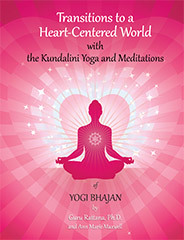 Transitions to a Heart-Centered World by Guru Rattana, Ph.D., is a rich and unique compilation of the core teachings and Kundalini Yoga kriyas and meditations of Yogi Bhajan. Still her most popular manual, this new Second Edition, revised, updated and augmented*, marks the 26th anniversary of the original publication in 1988. 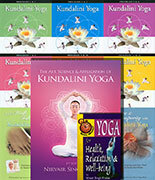 It is ready to welcome a whole new generation of students to this powerful and life-changing technology, as well as providing many new insights for those in possession of the original edition.